Increasing funding = Increasing Taxes? Not so fast! Robin Frazier declares that because “her opponent” wants to increase funding to schools, that he wants to increase taxes. This simply isn’t true. Spending doesn’t match to taxes, it matches to revenue. The commissioners claim to have lowered taxes for the past four years, yet each year, revenues have increased. That’s right; the county budget has grown bigger every.single.year since our commissioners have been in office. Surprised? revenue comes from Real Property and Income Taxes. If our income increases, we pay more income taxes and county revenue increases. If our property values go up, we pay more property tax and county revenue increases. 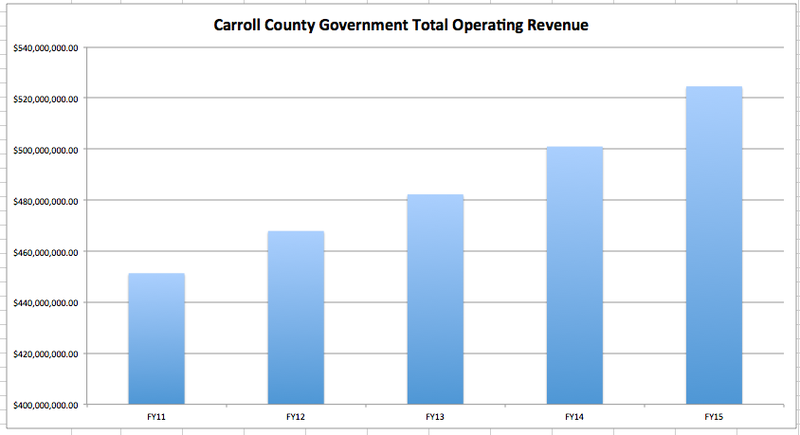 If we use county facilities more, county revenue increases. Yes, it is more money coming out of taxpayer pockets, but it is NOT a tax increase. The county is taking more money from us every year, but it’s certainly not going to the school system. Next up: School system’s operating funding as a percentage of county funding has been gutted since the current commissioners have taken office.